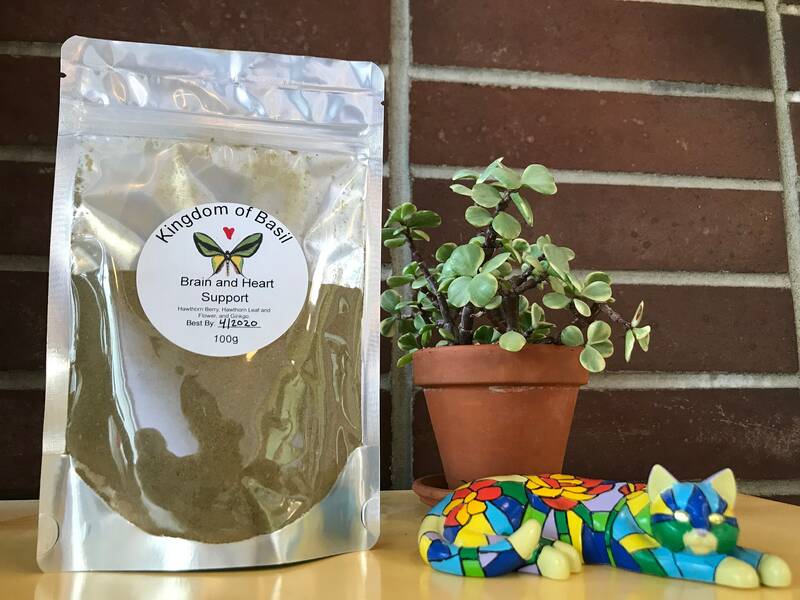 This herbal contains two herbs ginkgo and hawthorn that support brain and heart health. Herbs come ground into a powder. Now containing hawthorn berry, leaf and flower (leaf and flower not pictured). Herbs come ground into a powder and are delivered in a sealed bag. The following are average herbal dosages for dogs and cats. It is better to start with a small amount for three days and then gradually increase. This really makes a remarkable difference in the alertness level of my dog who has dementia. My own vet had nothing to offer him. Thank you so much and also for the quick shipping. I have a senior dog I have been using this on, I guess it will take sometime to see how well this works, but anything natural will help, so Thank you for making natural products that I can give to my pets. Great herbs for my 15 year old lab. I accept credit cards through Etsy. Refunds or replacements are available if item is damaged in transit. If you need to cancel an item let us know ASAP. Once shipped we can not cancel. Most herbs are made within 1-3 business days of order. I have started having some herbs already made on hand to get them to you faster. Shipping overcharges that are $2 or more than actually postage will be refunded. I only ship within the USA and to Canada. I ship within the USA by first class mail without tracking. Priority mail with tracking is available for an added fee . Most packages take 2-7 days to ship but it can sometimes be longer if there are weather issues. Shipping to Canada is by priority mail with tracking and is either $26 for a small flat rate box or $46 for a medium flat rate box. Excessive shipping fees over $2 above actual shipping costs will be refunding. Any package mailed to Canada can be opened and/or held at customs. I am not responsible for items which do not make it through customs.